In some way, shape or form Roger has always been involved in boating, from his early teenage years of racing Lightning scows in Miami’s Biscayne Bay and C/E scows in Lake Michigan to settling down some on a few cruisers with his wife Tamara and family. His first experience on the ocean was deep sea fishing out of Key West, Florida with his father. Yes, a great experience but where was the Dramamine? Roger is a 20 year Air Force (JAG) veteran whose travels took him to Ohio, California, most of Europe and South Korea. And yes, he was always on a boat or participating in numerous water sports. At Central Michigan University Roger received his Master’s degree in Management/Marketing and is always in the forefront when an educational opportunity to enhance his knowledge presents itself. And as your broker, he understands what it takes to provide you with informative data, the absolute best price and nation-wide marketing exposure for your boat. Once he heard about United Yacht Sales expanding their presence in the Northern Florida Gulf Coast, Alabama, Mississippi and Louisiana areas, he became a member of the United team (The Wharf – Orange Beach, Alabama) where he has the ability to provide customers with deep market penetration and in-depth expertise when selling or purchasing your next boat. 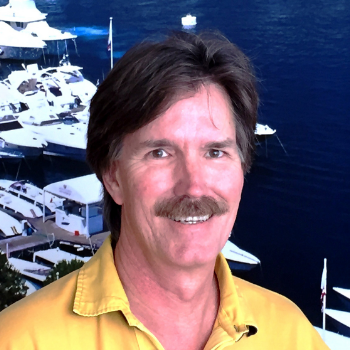 With over 40 years of boating experience Roger instills confidence with the goal to always exceed his client’s expectations.